One of the most frequently encountered, especially at the adolescents and students, respiratory disease is chronic tonsillitis. It emerges under the influence of infectious agents, such as bacteria, viruses and fungi. The main causes leading to the spread of this disease are changing climate conditions (more often in fall and winter) with increased humidity and cold, when the resistance of body to infection decreases. However, tonsillitis may occur during the summer. In summer, the main causes for the spread of tonsillitis are air recirculating conditioning systems, ice cream, cold drinks, humid and dirty air. 14 students aged 19-23 years old were enrolled into the experiment, divided into two groups by seven students each (with tonsillitis as test and healthy as control). Biologically active points (BAP) symmetrically located to the right and left sides of the human body served as object of the study and were studied by their temperature indicators. Temperature measurements were recorded with “Biotemp-2”. The results were statistically calculated. There were no significant differences in the temperature data of points located on the right and left sides of the body in control group; seven points from five meridians were statistically reliant when considering the temperature indices (p<0.05). According to the seven BAP, for which statistical validity was calculated, physiological changes from chronic tonsillitis of these biologically points indicate that they might be used as diagnostic markers. ALTAY, M. A. et al. Study of the influence of tonsillitis on other organs based on biophysical properties of skin biologically active points. International Journal of Biology and Chemistry, [S.l. ], v. 11, n. 1, p. 49-56, aug. 2018. ISSN 2409-370X. Available at: <http://ijbch.kaznu.kz/index.php/kaznu/article/view/313>. Date accessed: 24 apr. 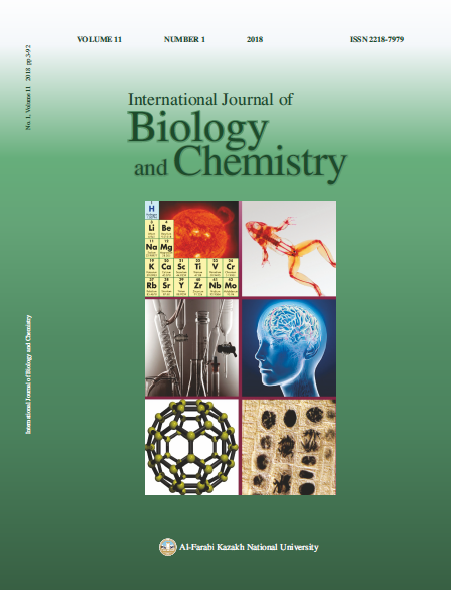 2019. doi: https://doi.org/10.26577/ijbch-2018-1-313.